After just a little bit of nagging, zee in-house accountant has finally found some time to get some new trip stats together. Yey for nagging! 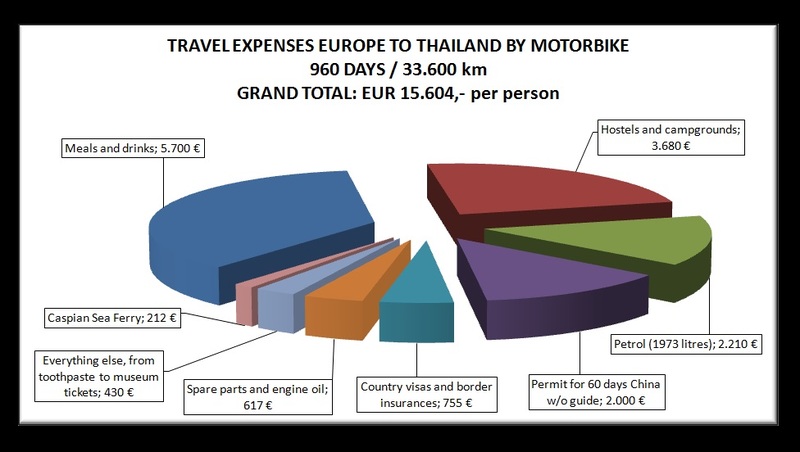 The chart makes it plainly obvious that a whole third of expenses, when overlanding with one’s own vehicle, are related to movement. 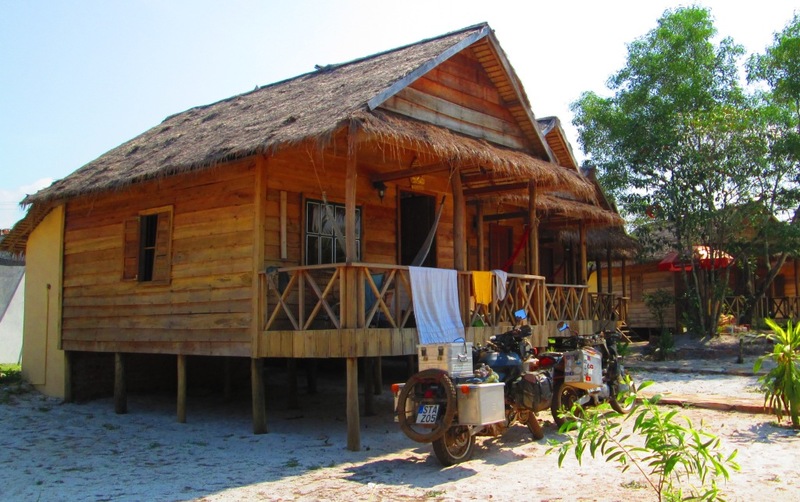 Food and accommodation can almost be entirely discarded. No matter where you are, where you travel or where you live, you gotta eat and you gotta sleep. Petrol, visas, border crossings and ferry crossings are the only expenses that you can seriously play around with. When we exited China in October last year, our stats were looking quite pathetic indeed. The solution, to even them out, was simple. We slowed down. This is the #1 tactic for drastically reducing costs. need to make the money last? Then best you spread out those expenses. We’ve barely covered 4,500kms in the last SIX months and the beneficial effects of that, on our budget, have been obvious. Unfortunately, this doesn’t mean that we are now free to splurge ad infinitum. The end of this year will bring another hefty expense. Puck and Pixie, to continue on their mighty adventure, will need to get a Carnet de Passage, a kind of passport for vehicles. That will cost ’em €1500 each. Bugger. This entry was posted in Overlanding and tagged adventure, adventure travel, BMW F650, curiosity, discovery, explore, journey, long-term travel, motorbike trip, Overland, overlanding China, RTW trip, travel budget guide, travel guide, world trip. Bookmark the permalink.